Stir together all ingredients in a medium-sized bowl. Lay out a piece of foil and fold edges up to make a bowl. Pour ingredients onto foil. Use a second piece of foil to cover the packet. Be sure to pinch the edges closed so it seals well. 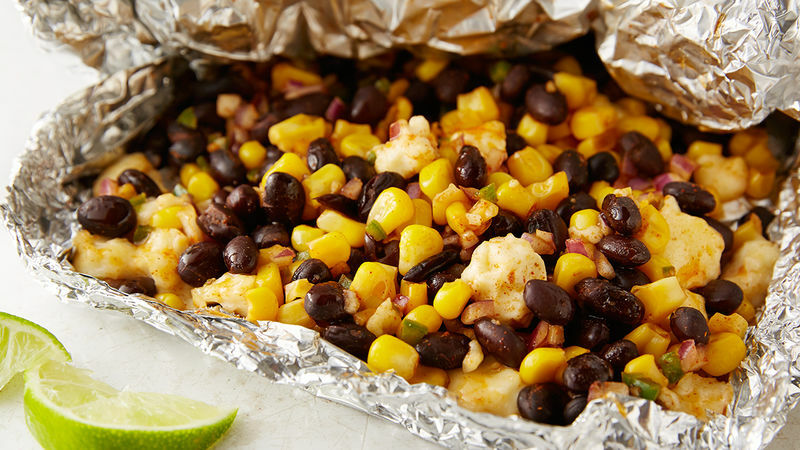 Grill the foil packet over medium direct heat for 8-10 minutes per side. Open foil packet carefully as steam will escape. Serve while warm! Use heavy-duty aluminum foil to reduce chance of tearing in foil. You can also double up the foil layers to make a sturdier packet.